This week I started my very first Sew Together bag (pattern by Sew Demented) using a F8 bundle of Little Miss Sunshine fabrics by LellaBoutique and grey cloud9 solid. I was absolutely terrified to try this pattern - but it was totally not justified! It was so much easier than I thought it would be. The entire bag construction was relatively easy, the only part i struggled with was binding through all the bulk of the bottom part of the bag (side panels). Aside from that it was really fun! I used the Quilt Barn Sew-A-Long for the entire construction process (aside from cutting my pieces, and piecing + quilting the front panel). Now that i've learned a few things, I wanted to share a few tips with you that I did not find in the tutorial itself, or the Quilt Barn Sew-A-Long that personally helped me. I know we all learn differently so I figure if these helped me, they could help someone else. Scroll down and keep reading for some beginner tips! Ok, so on to the tips and tricks! These will be helpful if you're new to this pattern. Fabric Choice: Although the tutorial calls for fat quarters, half yards, etc for the main fabric, I did not use any of these. All of my prints were from a fat eighth bundle of fabric. The solid grey was a 1/2 yard of a cloud9 solid which I used for binding and some piecing, but did not use all of. Piecing & Quilting: When making your front panel, if you want to piece & quilt a special design I suggest making your panel at least 1/4" to 1/2" larger on each side than the pattern calls for. I used 20 - 2.5" squares sewn into two sets of 10. Between the two sets, I added a panel of light grey cloud9 solids fabric and pieced them all together. This gave the bag a solid panel on the bottom and cute patchwork sides. I placed it onto low-loft batting and quilted with straight lines then trimmed the entire panel to the size indicated in the pattern. This allowed me to trim off any skewed edges from the quilting and square up the design with nice clean edges. Binding: Take the extra time to cut bias binding. If you've never done this, checkout this super helpful video tutorial from Londa Rolfing on YouTube. I promise its not that hard and the results are much nicer. You won't get any bunching or puckers in the binding. Also, if you're like me and binding is your weakness, just go slow and steady and use lots of binding clips or pins. I also recommend hand sewing the binding to finish it off. Interfacing: Choosing interfacing is a personal preference, and I know some people are stuck on their favorite but if you've never tried Pellon SF101 (Shape Flex) you definitely should! Its super light weight but still sturdy and doesnt add bulk when sewing. Zippers: First: ZipIt on Etsy sells a Sew Together Bag kit for $2.30 that comes with the zipper sizes you need for one bag and you pick colors! Second: Don't be afraid!Im sure you can see from the photo below that all these zipper panels are connected together. No, it wasn't that difficult! Believe me you can do it :) Using the tutorial from Quilt Barn (linked above) will be your best friend when it comes to the zipper panels! Hi! thanks for sharing! 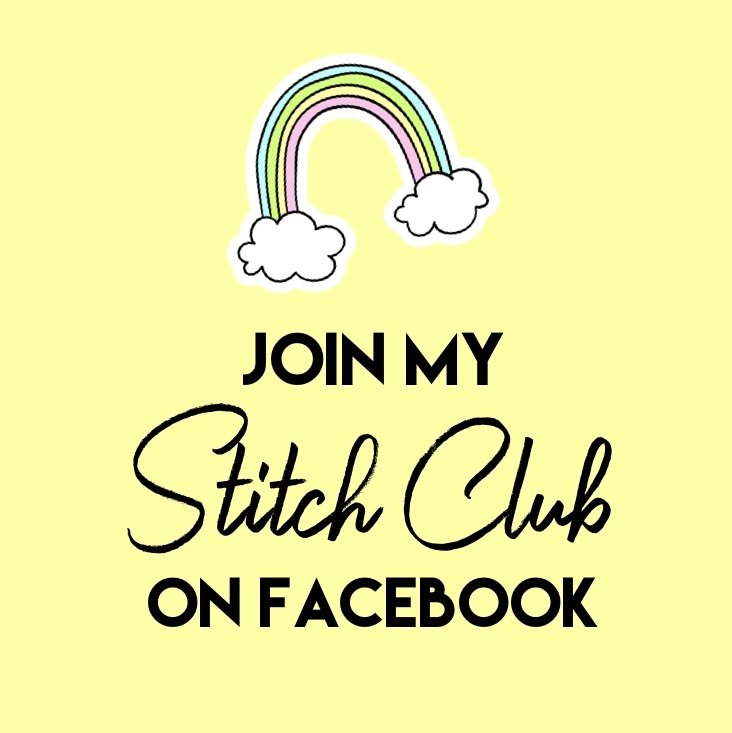 I'm getting ready to make one to give away in a swap and needed some guidance - Thank you for posting! 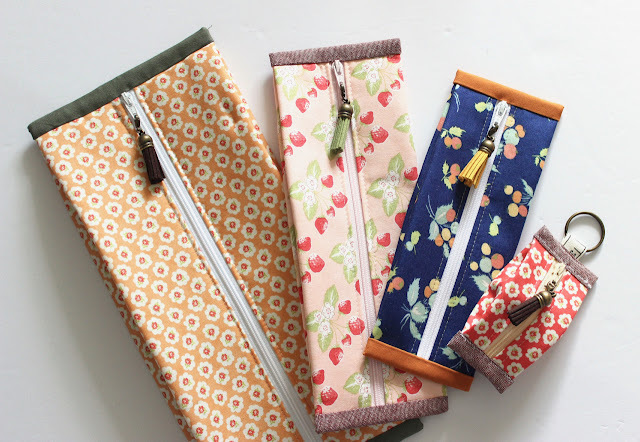 very useful - Love the fabrics you have used! Gooseberry! One of my favorite lines in the past year. What a wonderful way to show off those wonderful prints. Congratulations on a wonderful finish. On behalf of the 2016 FAL hosts, thanks for playing along! Very nice, I haven't quite got my nerve up yet to try it!